A young man, Pete, doesn’t know how to swim so we take him to the pond and tell him to learn. Pete jumps in, thrashes about yet goes under so we jump in and save him. Next we take him to a large box on top the hill, tell him that he has to learn to swim and then lock him up inside the box. After a day or two, we bring Pete back to the pond, tell him he has to swim and throw him in. Pete slaps about, but flounders and sinks, so we rescue him again. We take him back to the box on the hill, lock him up again and repeat that until he learns to swim, his stay in the box will only get longer and longer each time. In case you haven’t figured it out, life is the pond. The rest of his op-ed is well worth a read. The emotional, physical and psychological wounds you describe are deep and painful. To feel better and attract trustworthy people, you need to recognize them when you meet them and to learn to let them into your life. You need to heal from these wounds just as you would from a deep gash to your leg. Learning to love yourself and developing new skills to relate to others takes time and patience, and sometimes requires professional help. She also provides seven tips, the first of which is “Don’t beat yourself up for the way you feel or behave; understand why you feel the way you do and be kind to yourself.” Head to The Friendship Blog to find out what the others are. 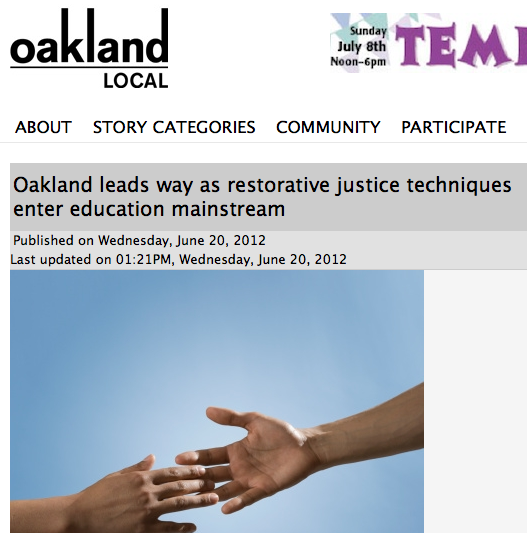 OAKLAND LOCAL POSTED A TERRIFIC STORY by Erik Arnold about how the city’s schools are integrating restorative justice programs to turn kids’ lives around. It begins with the story of Jacob Mathis, who had a grade point average of .77 and was on probation for assault with a deadly weapon. He had huge anger issues that came from a dysfunctional relationship with his stepfather. 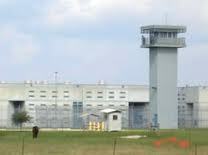 His probation officer suggested he attend a summer program on restorative justice offered by Youth Uprising, located adjacent to Castlemont High School.